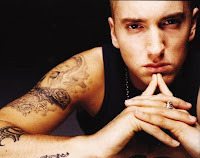 Eminem, Outkast and Pearl Jam have been confirmed as the headliners of the 2014 Austin City Limits Festival, which is set to take place at Zilker Park from Oct. 3-5 and 10-12. The strong lineup includes Lorde, CHVRCHES Skrillex, Lana Del Rey, Iggy Azalea, Icona Pop, Foster The People. You can check out the entire lineup festival here.